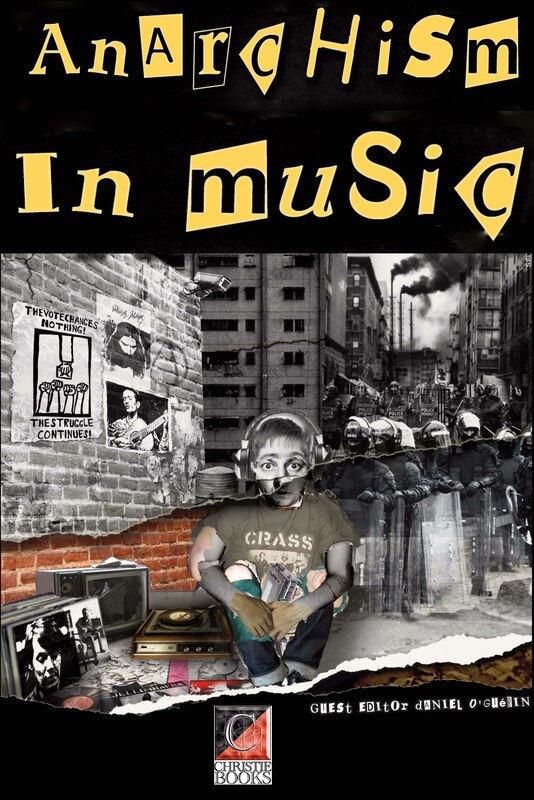 Anarchism in Music Edited by Daniel O’Guérin. In this eBook edition (Kindle, Kobo and MOBI file) of the third volume of the Arena series ($3.00 £2.00) we gather around the proverbial camp fire where we might listen to tunes to make our toes tap and to words which might reach into our hearts and pull us into a future of wild possibilities, daring us to dream. These songs of freedom push against convention, sing of finding ways and means to move beyond the confines of staid convention and the litany of war, poverty and misery that are the direct consequence of the edifice of capitalism and those frightened elites who hide cowering behind it. In ancient Rome, after Constantine bent his knee to Christ (or at least saw the convenient propaganda in such a coat of many colours), the music of theatre and of festival dismayed the naysayers of the ascending Christian empire that grew in his wake; the frivolity and joyousness of celebrating life became anathema to the new social order bent on obedience to the will of God and, by divine right, those masters who perpetuated his will. And so they banned it.